On Saturday, October 4, The Museum of Arts & Sciences will offer free admission from 10 am to 5 pm. Five exciting art exhibits featuring local and regional artists will be on display during the Festival. In the afternoon (1 – 5 pm), MAS will offer special hands-on activities and programming that all ages will enjoy. “Beverly Buchanan: Southern Vernacular” A solo exhibition featuring the two and three-dimensional work of Beverly Buchanan, an African-American artist who explores Southern vernacular architecture in her art. 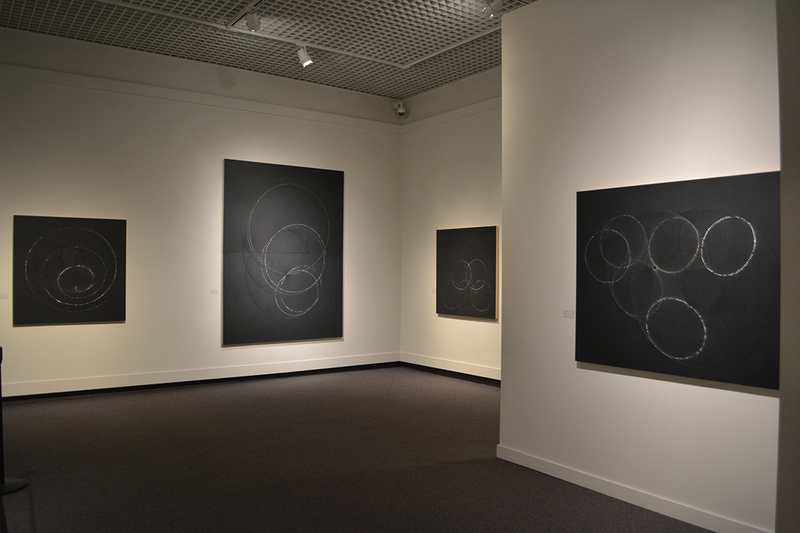 Because Buchanan lived in Macon from 1977 to 1985, her work is held in the private collections of many local art patrons. 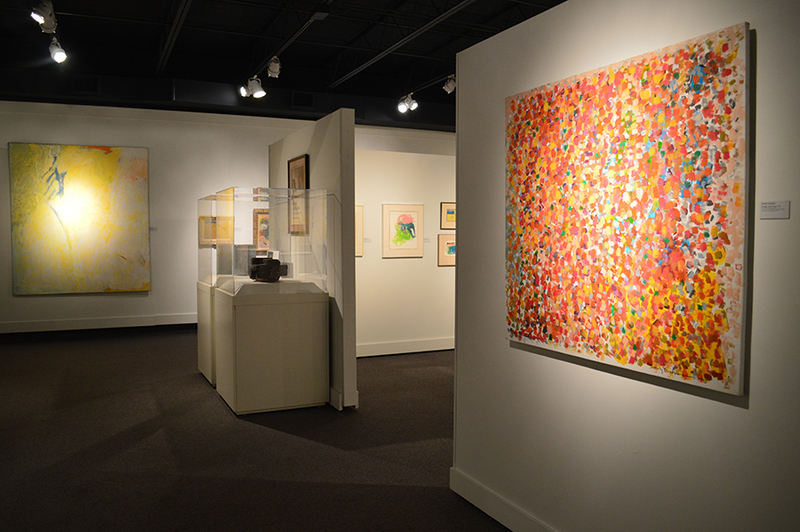 Dozens of paintings on loan to the Museum will be displayed alongside works from the Museum’s Permanent Collection. “Black & Light: Abrasion Holography by James Minden” A solo exhibition featuring the work of James Minden, the only artist working in the medium of abrasion holography. Minden (Portland, Oregon) earned a Bachelor of Science in Art (1977) from Portland State University and has since exhibited his work extensively. “The Weather is Turning Weird: Data Visualizations by Nathalie Miebach” The sculptural work of Nathalie Miebach focuses on the intersection of art and science and the visual articulation of scientific observations. Using the methodologies and processes of both disciplines, Miebach translates scientific data related to astronomy, ecology and meteorology into woven sculptures. 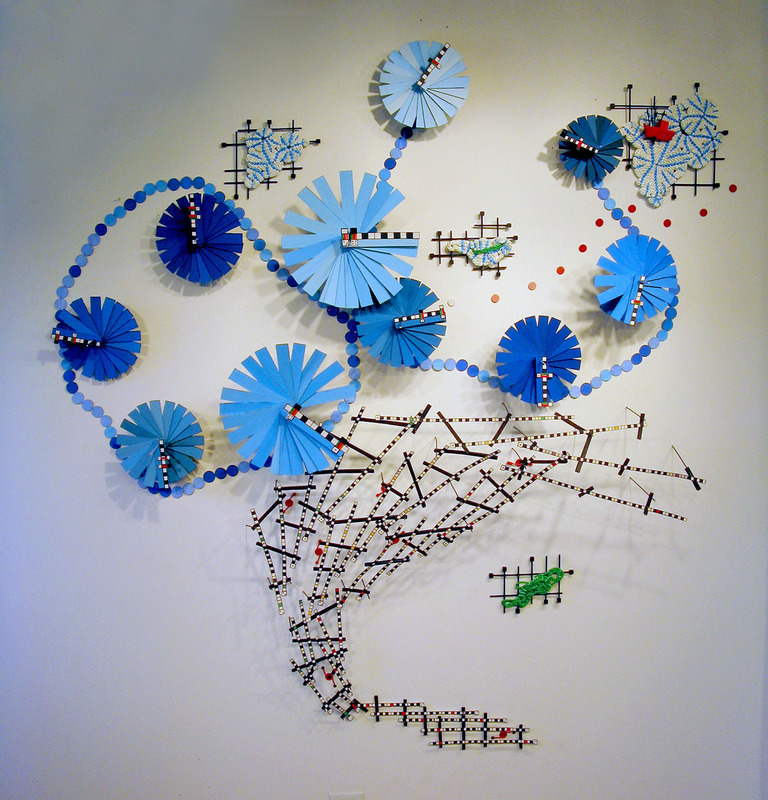 Nathalie Miebach is not only an artist but also a leading expert in STE+aM education. She earned a Master of Science in Art Education and a Master of Fine Art in Sculpture from the Massachusetts College of Arts. She studied astronomy and physics at Harvard, and has exhibited across the country. Her work has been reviewed by numerous national and international publications, including Art in America, Art News, Sculpture Magazine, American Craft Magazine, New Scientist, Christian Science Monitor, and many more. 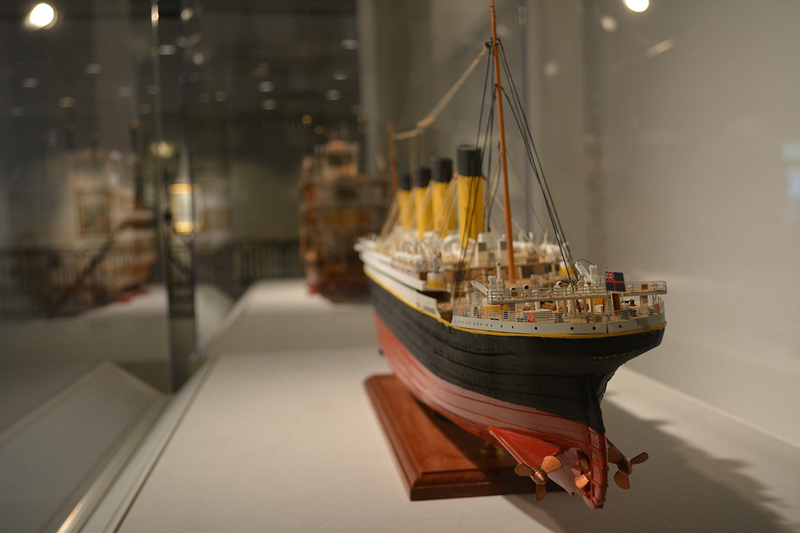 “Voyage Around the World: Hand-built ships by Ronald Wetmore” The Museum is proud to exhibit six new acquisitions to its Education Collection: a selection of award-winning ship models built by Ronald Wetmore. On display are the HMS Bounty, 1784/1787; HMS Victory, 1765; USS Constitution, 1797; Santisima Trinidad, 1768; RMS Titanic, 1912; and a Mississippi Paddlewheeler, along with others from the Museum’s Collection. Charting important voyages, battles, triumphs and tragedies, the ships represent 150 years of world history. “Roseville Pottery Collection” Featuring 70 pieces on loan from local collector Terry Holland, this exhibition will feature excellent examples of 19th and 20th century American pottery made by the Roseville Pottery Company. Though originally simple household pieces, the design of the pottery was popular with the American Arts and Crafts movement and collectors now seek after pieces. Exhibition will highlight Roseville’s designs, kiln markings, and influence. On Sunday, October 5, Macon Film Festival will close out One City Art Festival with a free screening of Woody Allen’s Oscar-winning film “Midnight in Paris” at the Museum of Arts and Sciences. Doors open at 5 pm and the film will start at 5:30 pm. The Museum of Arts and Sciences presents a wide variety of art and science exhibitions that change every few months, plus the Museum has a full-dome Planetarium, Mini-Zoo with live animals, Discovery House with interactive stations, Nature Trails, Auditorium, Museum Store, and much more. The Museum is located at 4182 Forsyth Road in Macon. They are open Tuesday-Saturday, 10 am – 5 pm, and Sunday 1 – 5 pm. The Museum is closed on Mondays. If you are aware of others interested in purchasing more folk art, please have them call (850) 210-6886 or email ol.samuels@yahoo.com. Thank you.